After our successful Veteran’s Day project of doing free dental work on Veterans, we have been looking for another way we can help our community. We have partnered with the Smiles For Life Foundation in doing a whitening project for charity. People come in and get their teeth whitened with the take home trays using Opalescence teeth whitening system. We are going to donate 100% of the money from this for a limited number of whitenings to the Smiles For Life Foundation. We will get 50% of the money for the local charity of our choice. We choose the Chattanooga Food Bank program called Snack Pack. Below is what it is all about. So basically you get your teeth professionally whitened by our wonderful staff and you help a child! What is not to love about that. Once you have the whitening trays you can get refills and keep them touched up forever basically! During the weekend, many children go hungry without access to free or reduced-price school meals. Each week during the school year the Chattanooga Area Food Bank (CAFB) delivers over 1800 sacks of healthy food items to schools in our service area. Each sack contains basic, healthy food items such as cereal, milk, juice, fresh fruit, granola bars, soup, and even recipes that will help sustain children through the weekend. It only costs $96/year to sponsor a child. Below are the schools participating in the CAFB Sack Pack Program. McOmie Family Dentistry will be running this program through the month of May. We have a limited amount that we can do so hurry and call today. 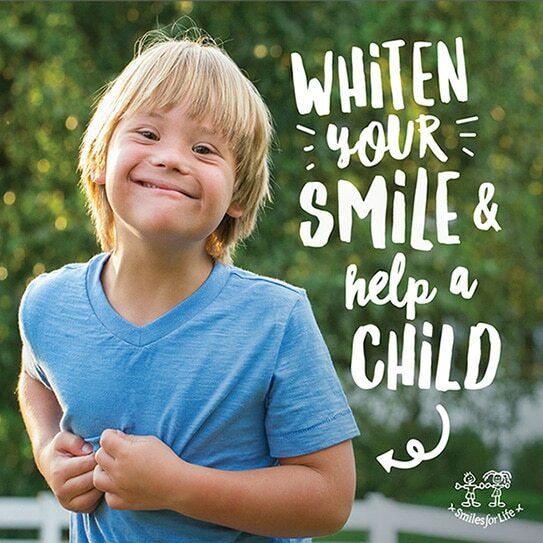 Whiten your smile and help a child it is a win-win. What are you waiting for? Give us a call at McOmie Family Dentistry 423-899-1112, and whiten your smile and help a child!